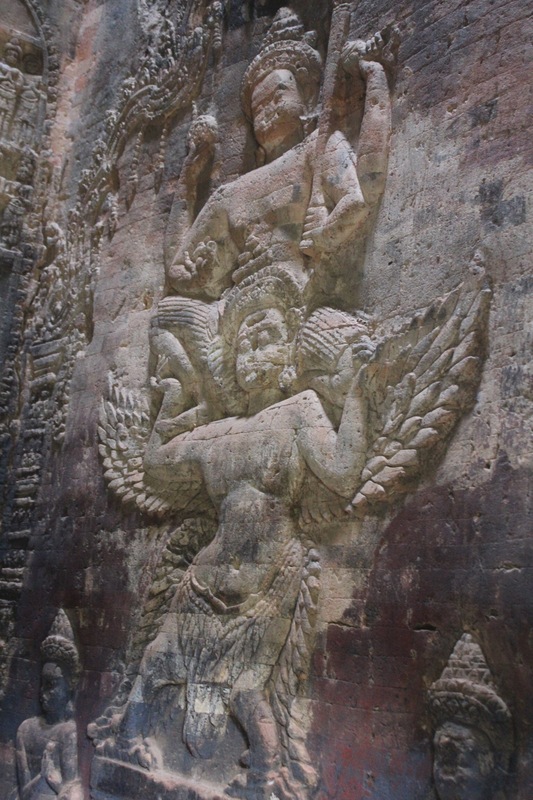 Continuing where I had left you all last week… I start day two of my trip to the mystical land of Khmer, where history is sung not just through folklores but through stone carvings and sand grains. The most important part of entire Angkor trip is proper planning and time management, and for better planning its absolutely must that you get the city map and chalk out your points of visit for each day. Having gone through numerous books and blog posts on Angkor, I had a fair knowledge about the temple ruins and I divided the entire archeological park according to historical relevance and hence made a priority list. 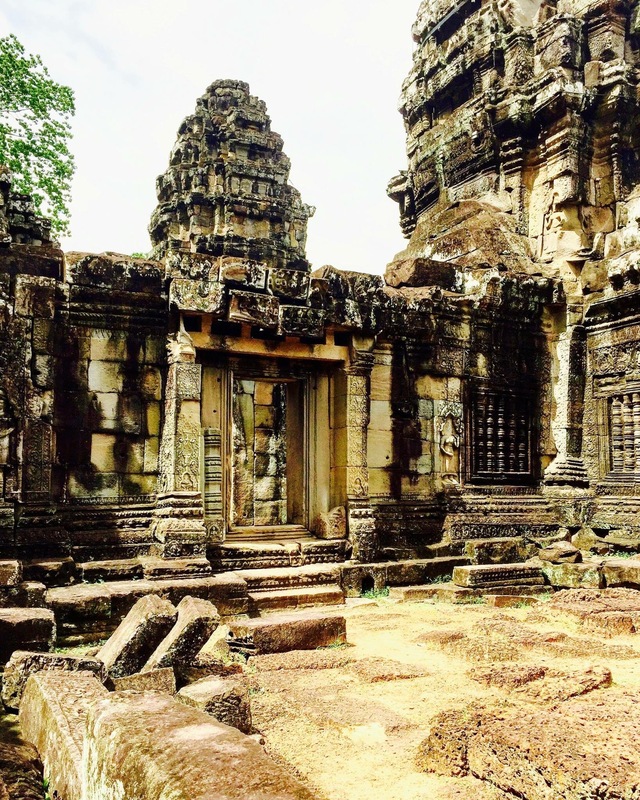 Angkor Archeological Site is so spread out that it can be a bit overwhelming to visit, so it is better to go prepared and knowing what to expect. 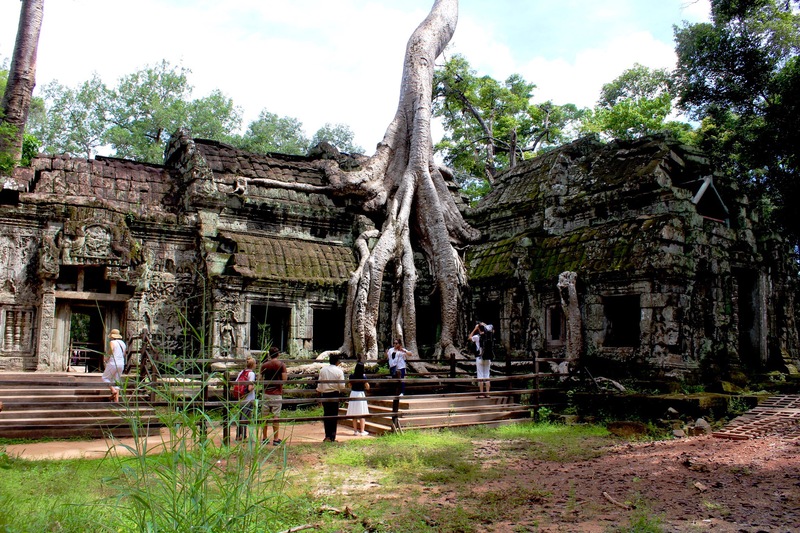 Tour guides are extremely helpful in case you have not had the opportunity to study Angkor history, but make sure you go for a certified tour guide even if it costs a bit more. These tour guides can be arranged from the hotel you are staying and charges are quite affordable. Cambodia by and large is a warm and humid country, so make sure you carry clothes which suit the climate, and yes dont forget to carry the most comfortable walking shoes as this entire trip is about walking. The map of Angkor park is available at the front desk of every hotel and also at the boking office. The map has all the temples and points marked to help you plan and decide everyday route. I decided to trace my way backwards, starting from Prasat Kravan, to beat the tourist traffic which usually starts from Angkor Wat. The entrance of Central Tower has Dwarpal’s or door-keepers carved on both the sides. This is a cluster of east facing brick towers containing unique bas-reliefs of Bhagwan Vishnu and Lakshmi. 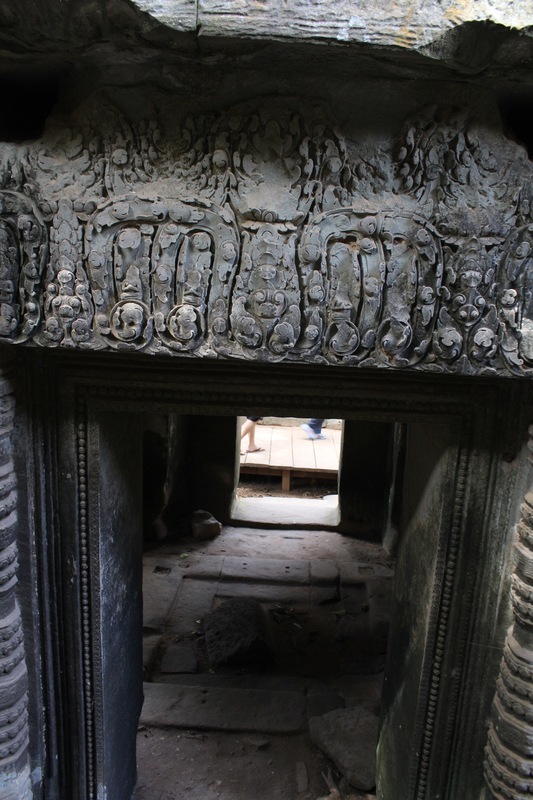 It’s the only brick bas-relief found in the entire Angkor complex. Prasat Kravan was reconstructed by archaeologists in the early 20th Century and the modern replacement of bricks are labelled as CA. 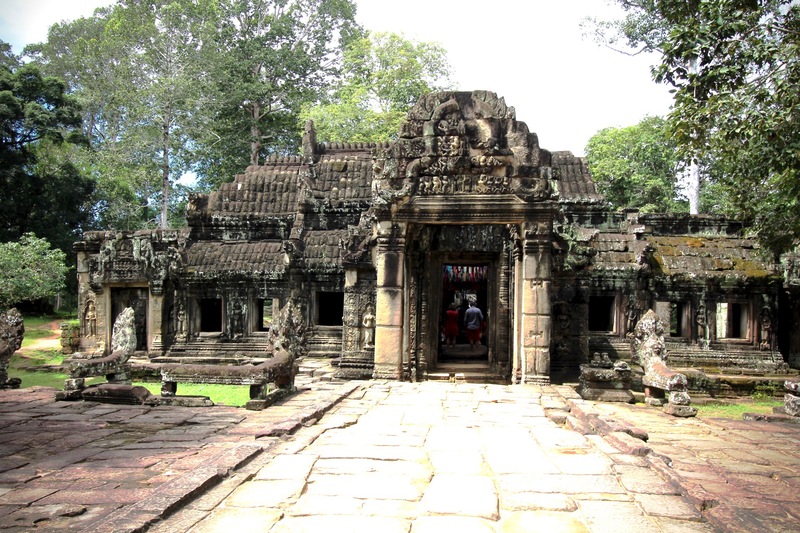 My next stop was Banteay Kdei, a largely unrestored complex. 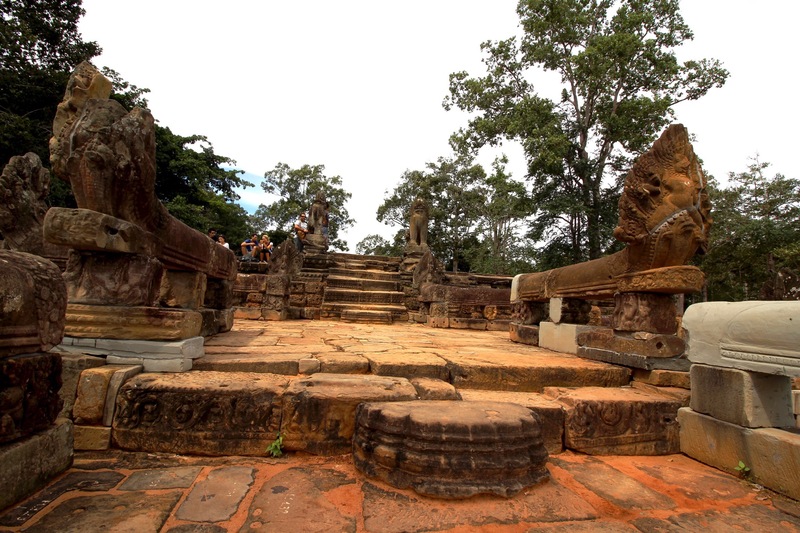 It was originally constructed over a Hindu temple and was eventually used as a Buddhist monastery under king Jayavarman VII. 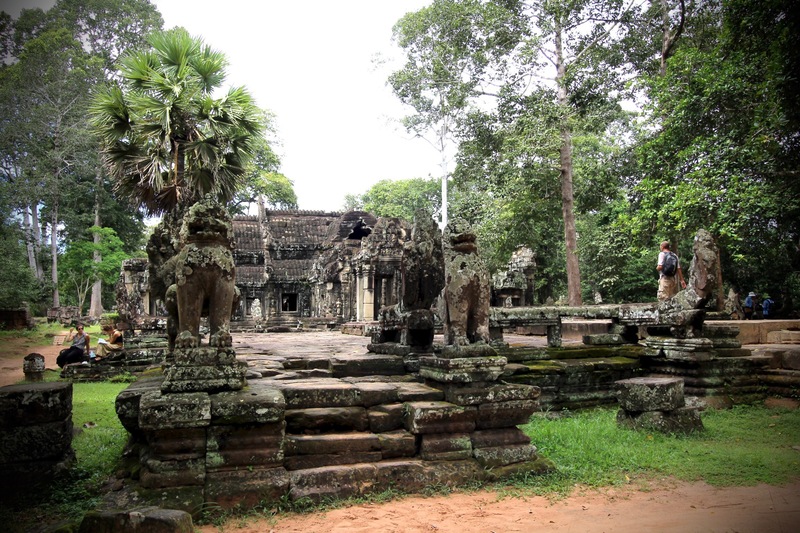 Banteay kdei has not been restored completely though much of vegetation has been cleared for access. 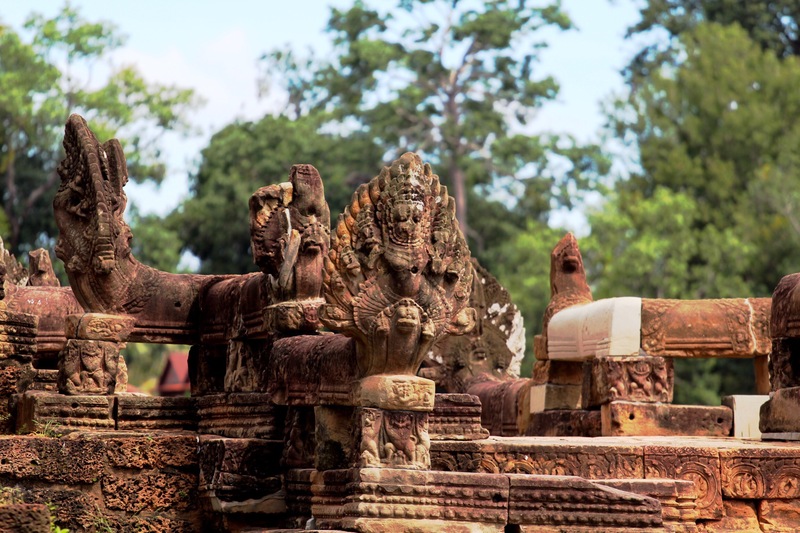 Made of soft sandstone is one of the reasons why Banteay kdei today stands as one of the most devastated sites in the entire archaeological park. Banteay Kdei was built using a much inferior quality sandstone and poor construction techniques as compared to other temples of Angkor leading to much of its deterioration. There’s a massive restoration work going on and a major portion of this temple complex is cordoned off. In the eastern and western pavilion, the roof is supported on free standing pillars. 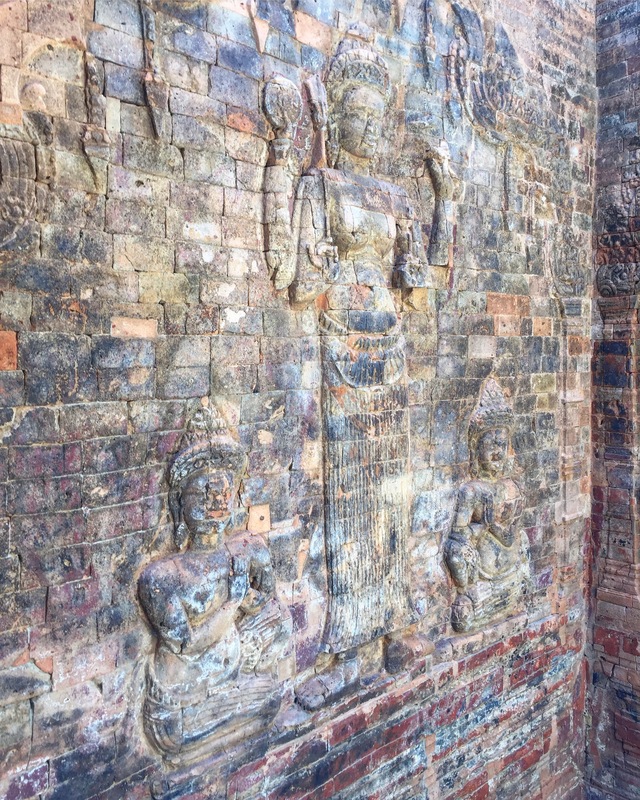 Buddha carvings are still visible on these pillars, but they are mostly defaced. 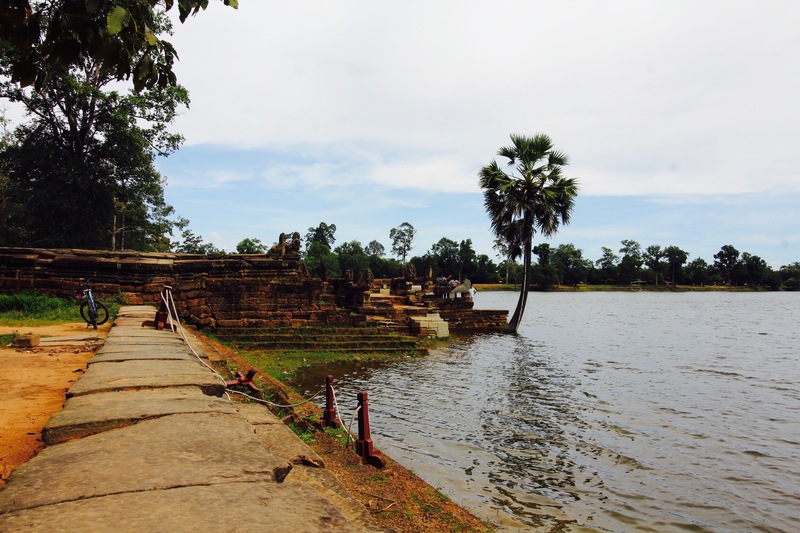 Bang opposite Banteay Kdei is Sra Srang, an artificially created river basin made for the king to enjoy a quiet sunrise. In our entire trip you should keep one sunrise for Sra Srang, its much more peaceful than the chaotic Angkor sunrise. 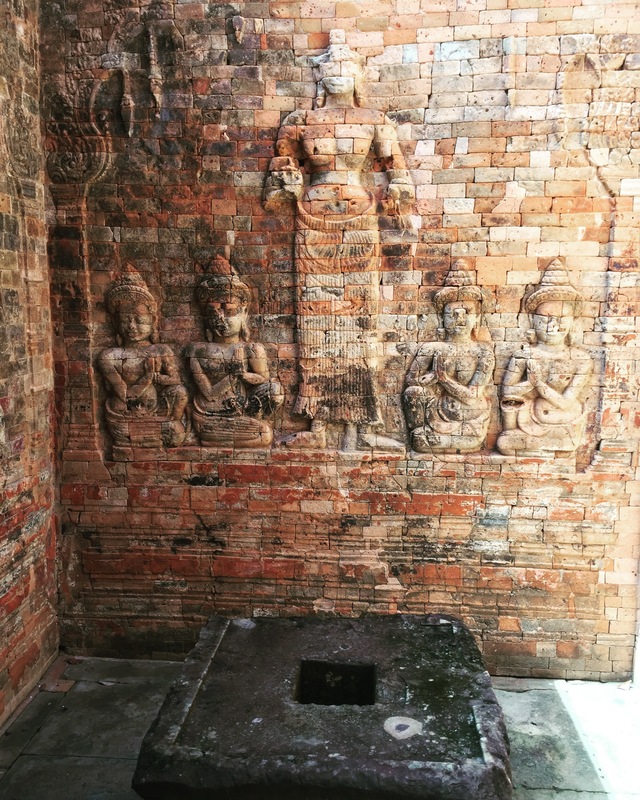 This baray has been holding water for more than nine centuries. 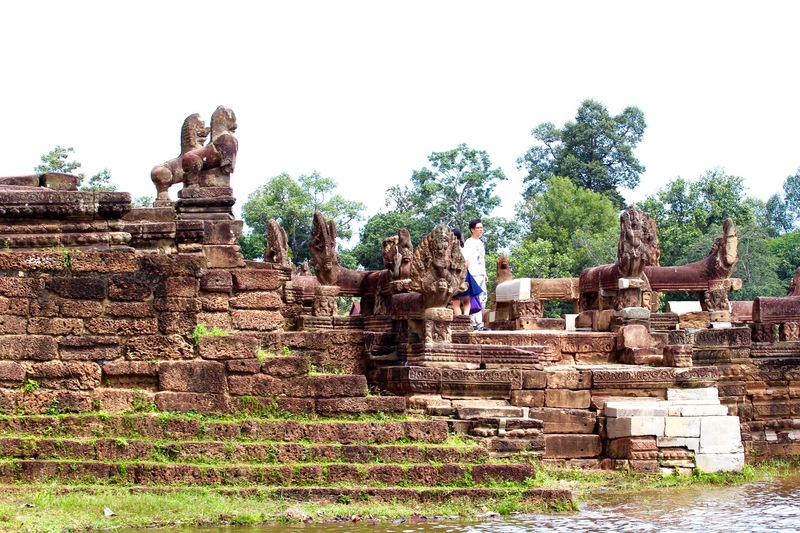 Sra Srang is right opposite Banteay Kdei and is easily viewed from the large landing stage. 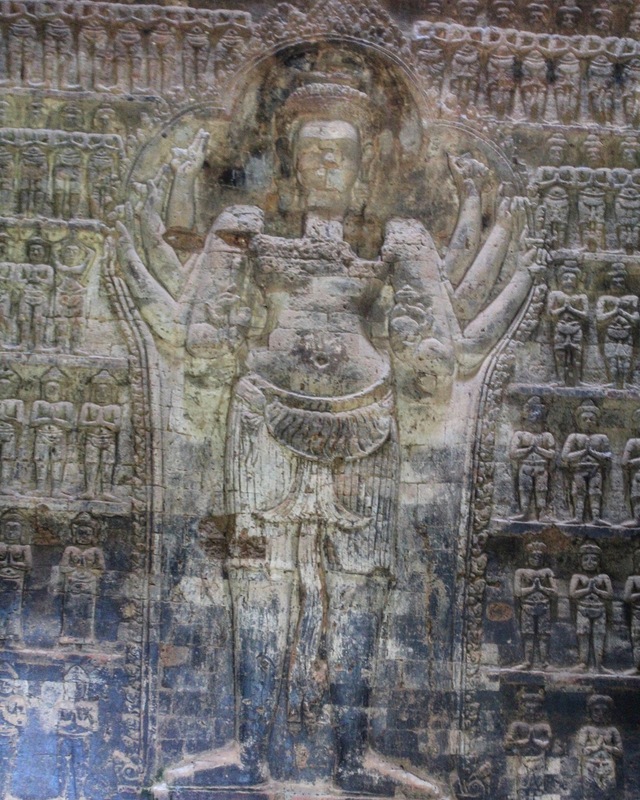 It was made around mid 10th Century under supervision of Kavindrarimathana a Buddhist minister of King Rajendravarman II. 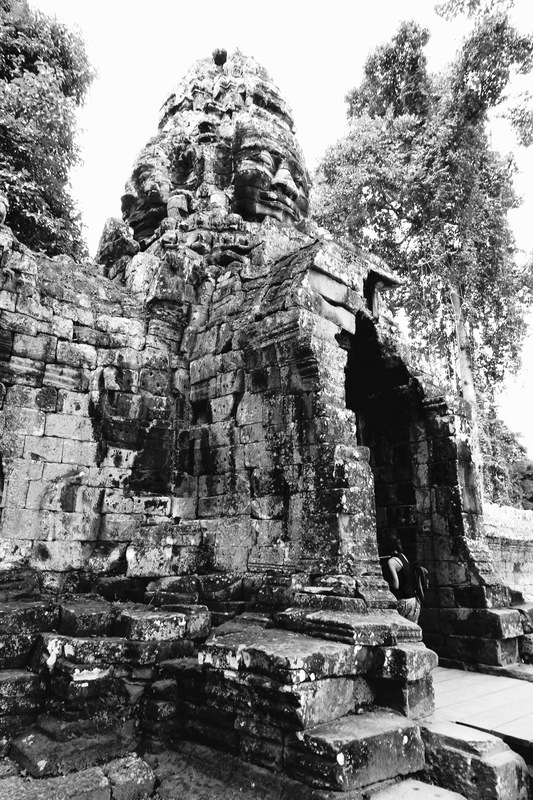 Later during Jayavarman VII’s rule, laterite landing stage was added to the structure. The cruciform structure is flanked by Naga balustrades ending with the upright head of Naga mounted by a Garuda. After spending good two hours wandering through the ruins of Banteay Kdei and watching the calm water at Srah Srang, I head towards Ta Phrom, a temple ruin made famous as the Lara Croft temple because of the famous Hollywood movie Tomb Raiders. Built around 12th Century, this temple was dedicated by King Jayawarman to his mother. A Sanskrit inscription on stone, still present, gives details of the temple. 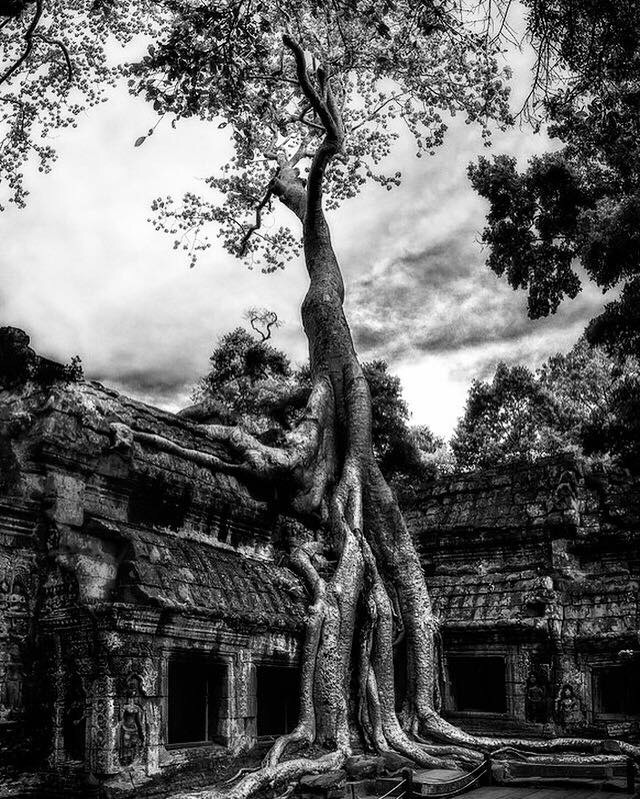 Ta Prohm 3,140 villages. It took 79,365 people to maintain the temple including 18 great priests, 2,740 officials, 2,202 assistants and 615 dancers. This temple site is largely left untouched, except for the little clearing of vegetation that was required, to give way to the visitors. 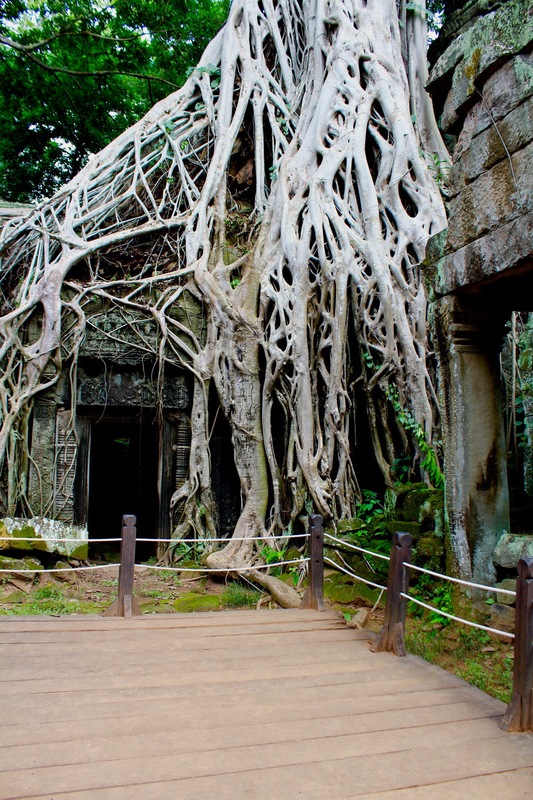 Shrouded in dense jungle, Ta Prohm is ethereal in aspect and conjures up a romantic aura. I had the ultimate Indiana Jones fantasy. Amidst the crumbling walls embraced tightly by muscular roots of trees, the shadow of glorious past of this temple complex is still evident. The intricate and beautiful wall carvings are still clearly visible in many portions. 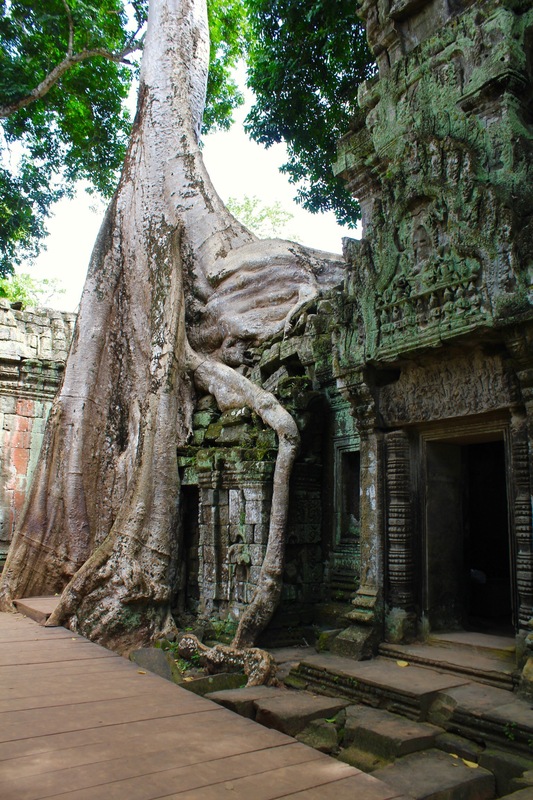 Ta Prohm was built as a Buddhist temple and monastery, around 1186 and was dedicated to the mother of Jayavarman VII. It’s a temple complex of towers, courtyards and corridors. Ta Prohm ruins give an out of the world experience and I didn’t realise that it was already three hours spent and my soul still wanted to soak more of it. 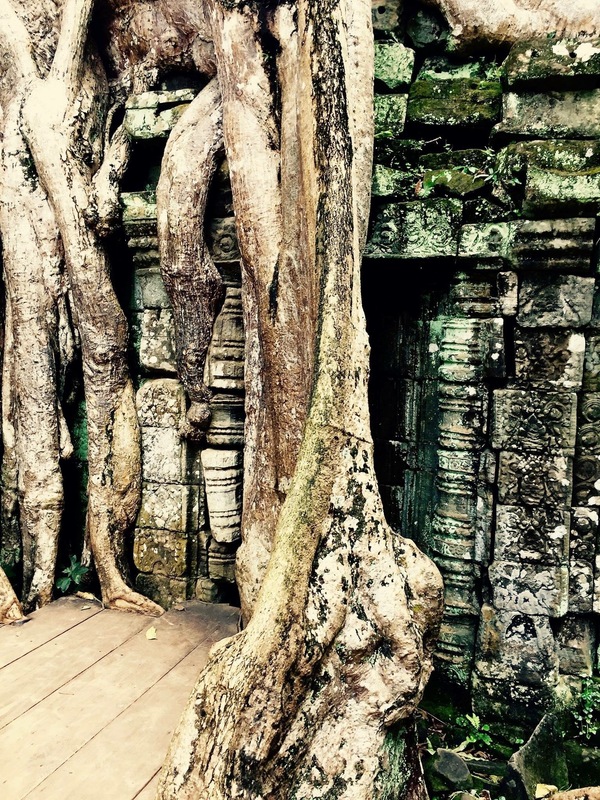 From Ta Prohm I head towards Angkor Wat, the heart and soul of the entire trip. One section of a blog isnt enough to hold entire Angkor experience, hence I’ll carry my Angkor experience to my next blog, which shall be dedicated entirely to Angkor Wat main temple.